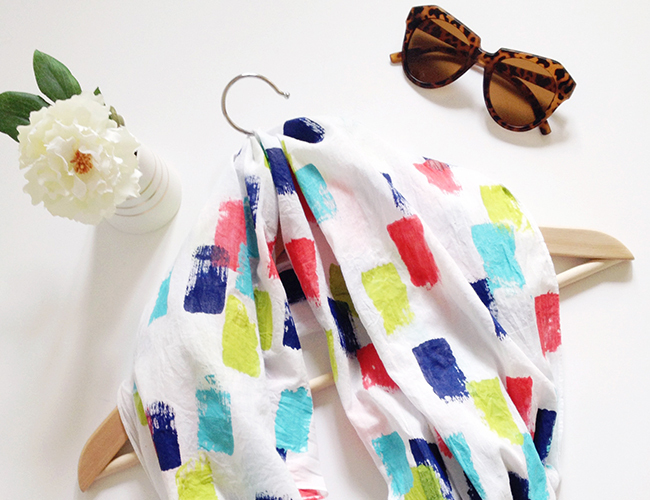 Give your scarf a good wash (without fabric softener) and iron it before you start painting. If you’re impatient, I know how you feel! 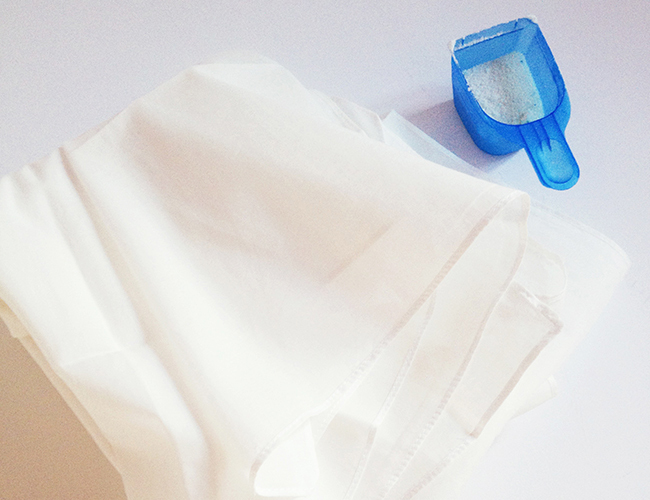 But this is important as it’ll get rid of excess chemicals in your cloth and will help your paint to stick properly. 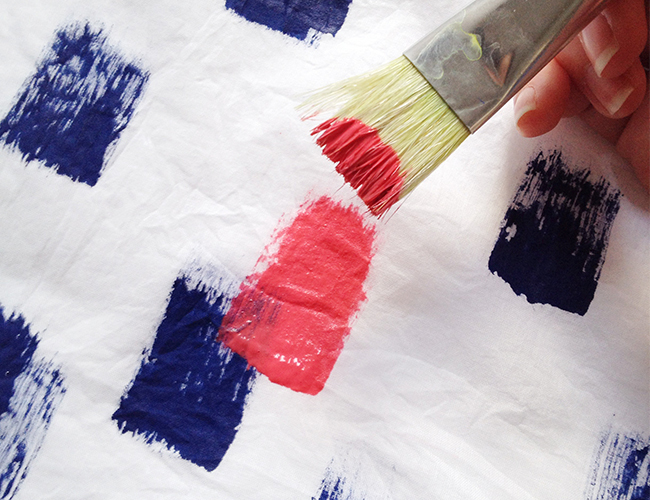 Place some plastic sheets beneath your scarf to protect the surface from any paint that might seep through. Then get painting! Using a wide, flat paintbrush start brushing short strokes of paint over the length of the scarf, all going in the same direction. 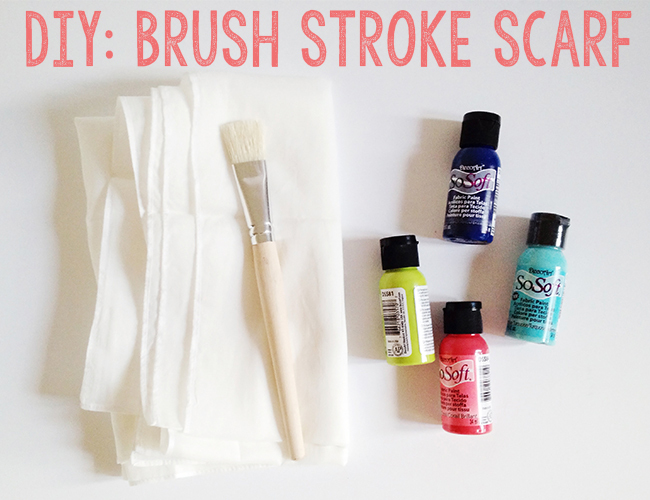 Try not to overload your brush with paint, otherwise you’ll end up with spots and blobs rather than the brush strokes we’re after. 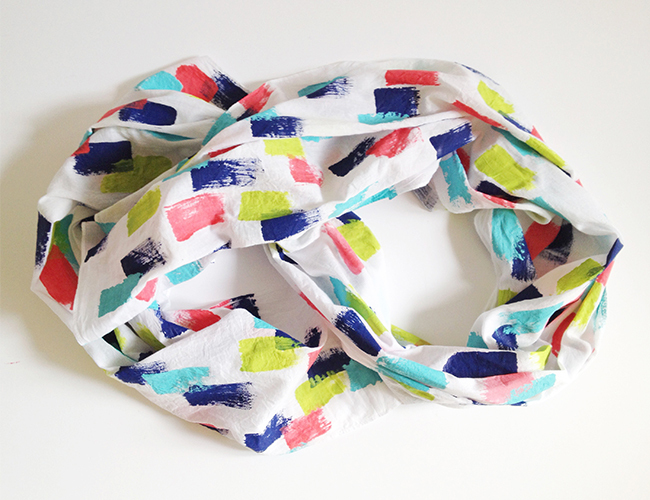 Leave your scarf lying nice and flat to dry (this may take up to 24 hours) and if your paint requires it, iron your scarf on the reverse side to heat set your pattern. Everyone’s seen this blanket around. 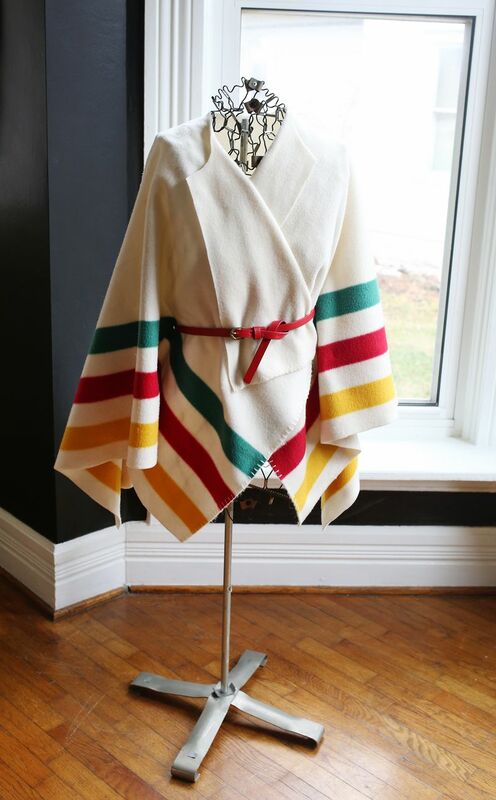 It’s part of the HBC Signature collection and it was only a matter of time until someone figured out a way to make this gorgeous blanket wearable! Well today’s your lucky day! 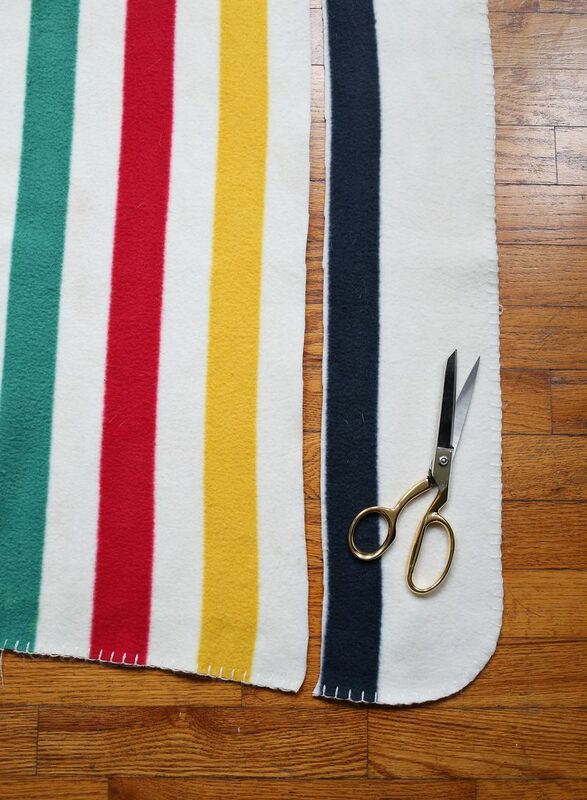 Here’s a fantastic tutorial on how to turn this iconic blanket into a very wearable and very stylish sweater wrap. Step 1: Measure to centre your cut and create a space for your neck. 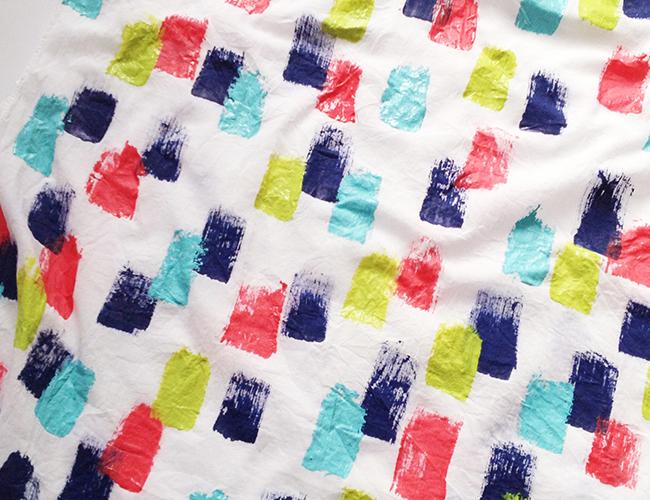 We recommend cutting 14 1/2″ in (found from draping). Decide how big to cut the neck hole by measuring your neck and adding an inch. 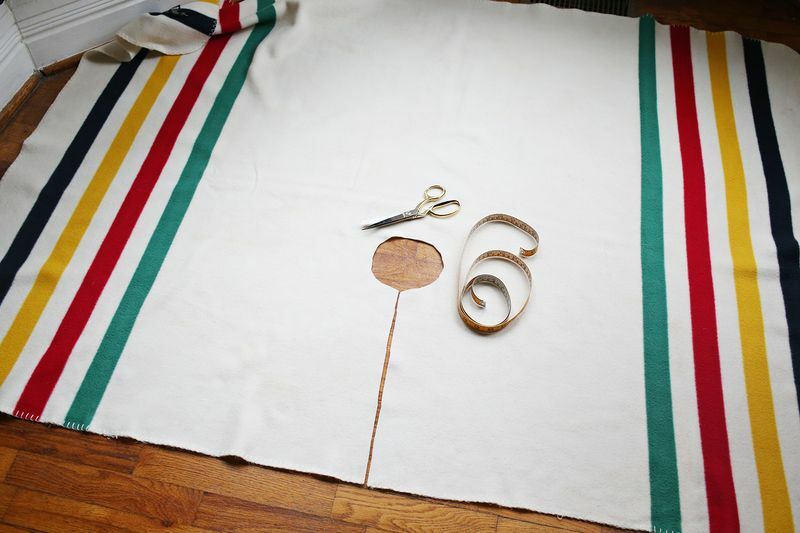 After every cut, Drape the blanket back onto the form (or sometimes on yourself) to make sure you are on the right track and things are laying properly. Step 3: The last thing you need to do is cut two small holes for a belt to loop through. Use something slim looking and play around with colours. Pick something that you don’t usually wear, you’ll be surprised. Re-purpose win! It’s as easy as that! 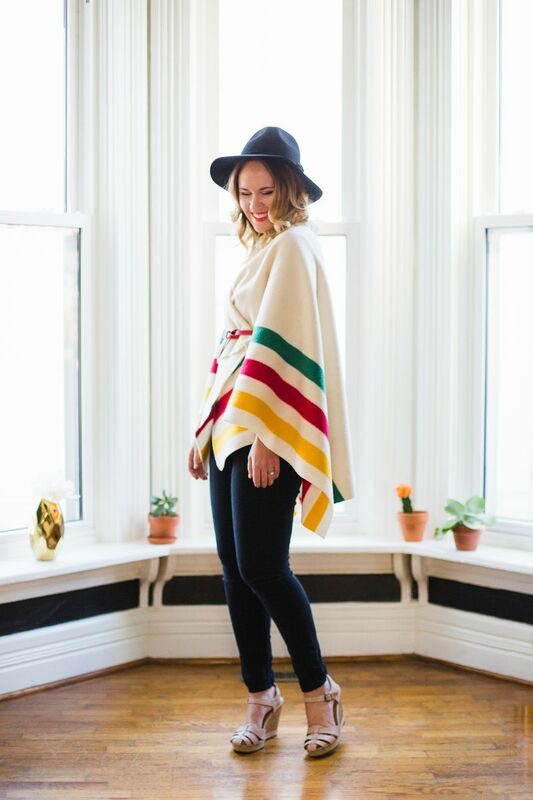 A comfortable, stylish and completely unique sweater wrap that looks straight out of the Hudson’s Bay catalogue! What do you guys think? Leave us a comment below!